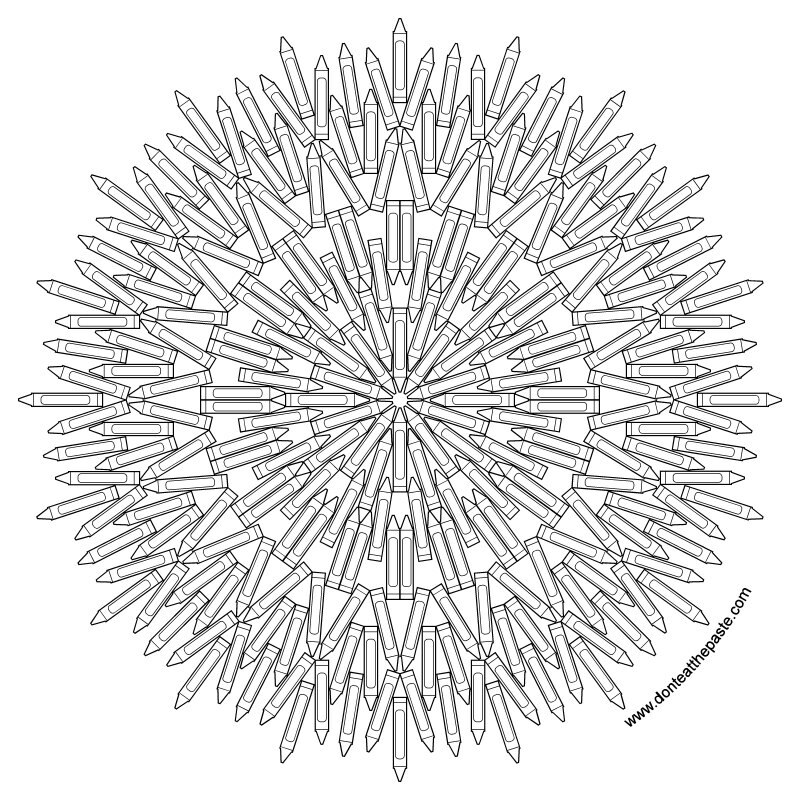 Back in 2013, I drew a simple crayon mandala for back to school. That mandala recently got shared on one of the coloring groups on Facebook, and people were talking about using it as a way to catalog pencil colors. The more people commented, the more I wanted to put together a more complicated version. So here it is. 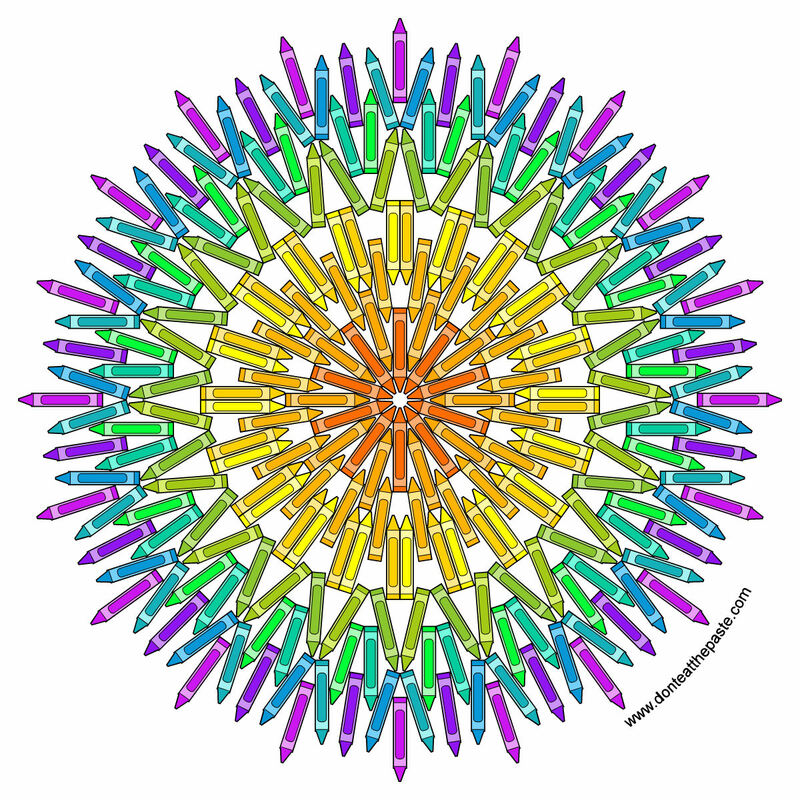 A more complicated version of my crayon mandala to print and color. 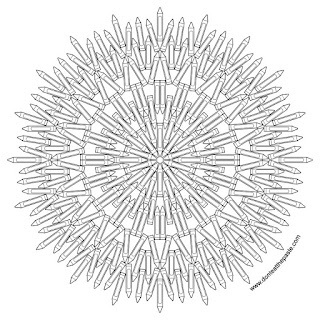 You probably aren't going to want to use crayons for it. Click the versions below for large versions to color.